Description: Price reduced ! Charming center hall colonial nestled on approximately an acre of property, set back from the street overlooking tamaques parks pond includes 5 brs, 2 1/2 baths, lr with fire place, - Formal dr, large eat-in kitchen with brick hearth grill, family room, 21 ft recreation room with wood stove & game room in basement, and two slider doors that exits to rear deck overlooking a vast private back yard. Also includes a master br suite with cathedral ceilings & a picture window for sunfilled beautiful views. Rear yard has a small barn and outdoor storage shed as well. 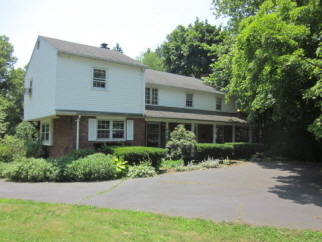 This colonial on a truly unique, spectacular piece of property must be seen for all its potential & beauty !